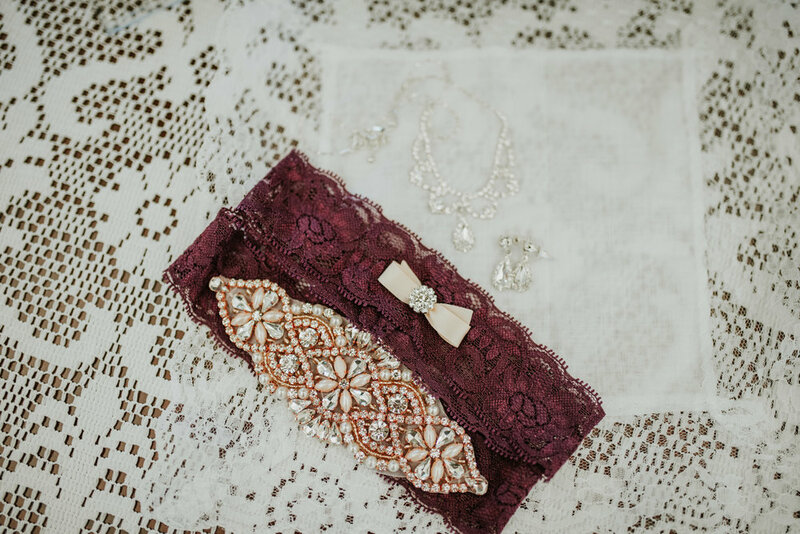 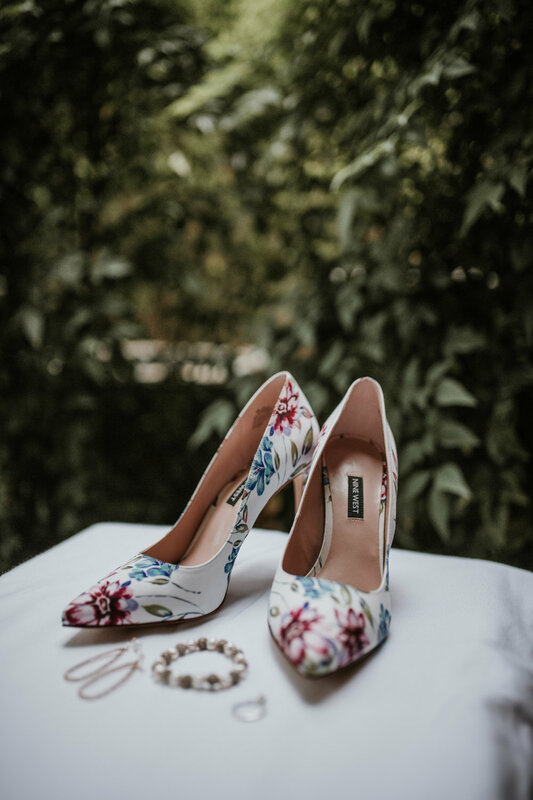 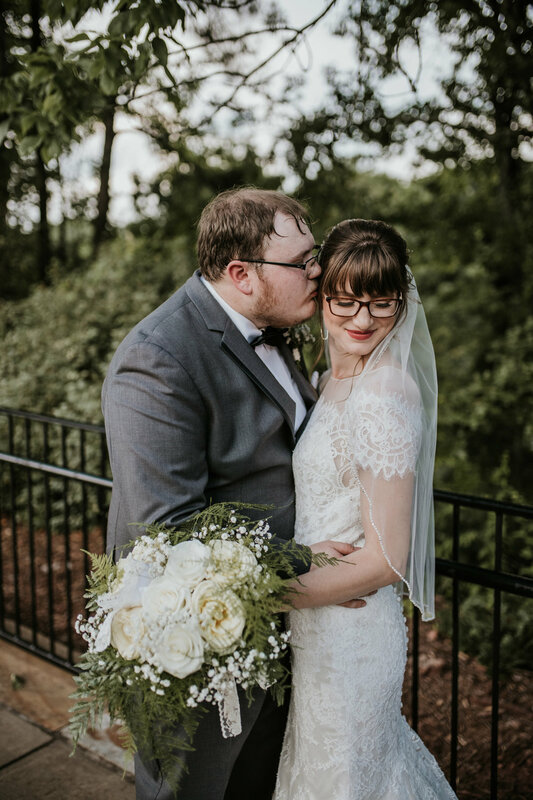 Let me just start by saying that this was one of the most beautiful weddings I think I've ever shot! 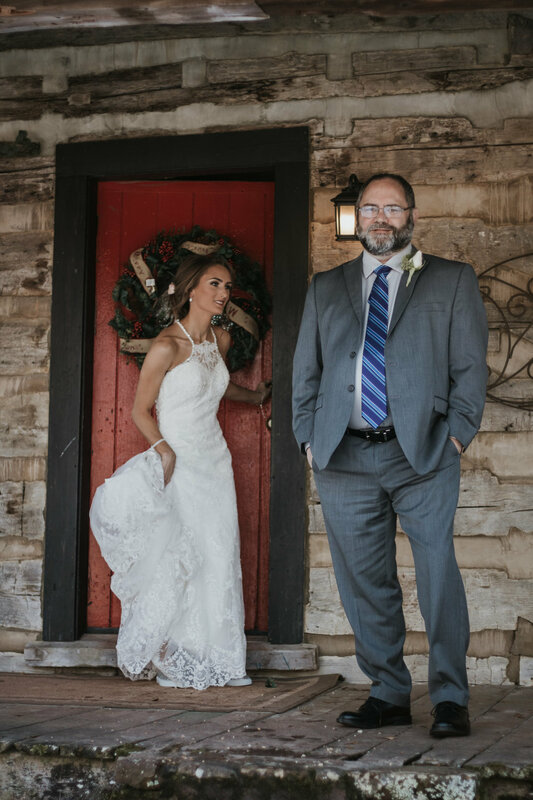 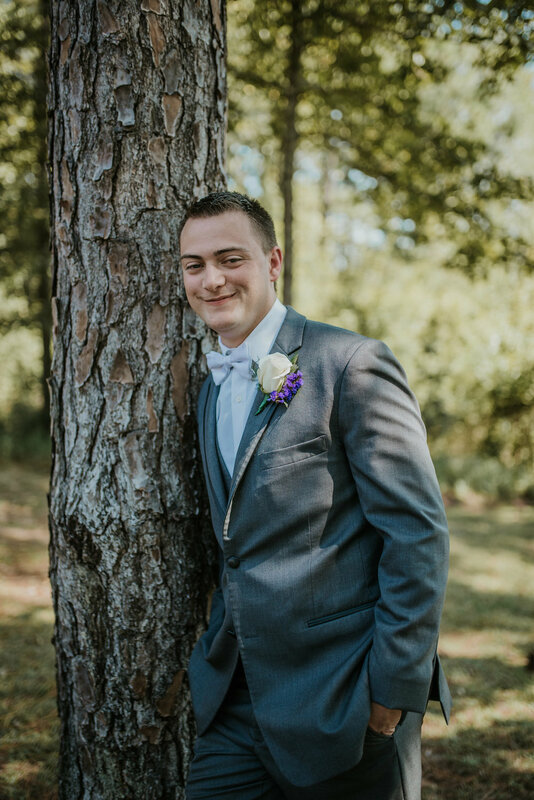 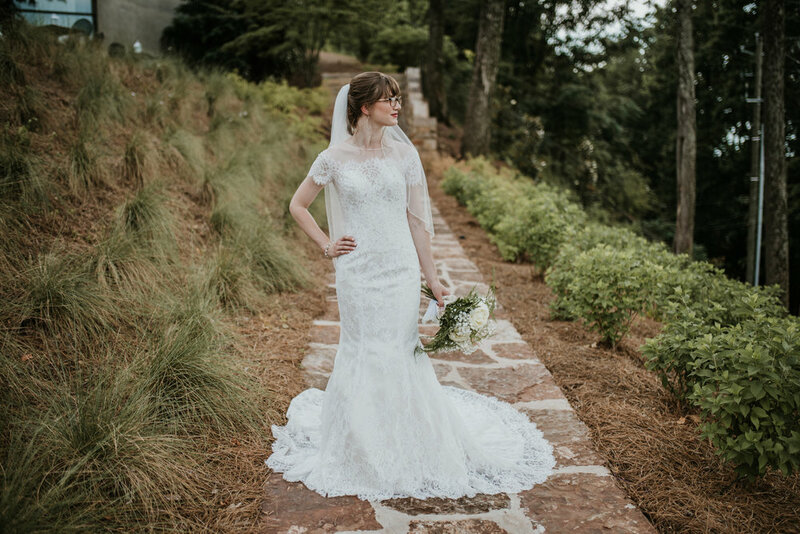 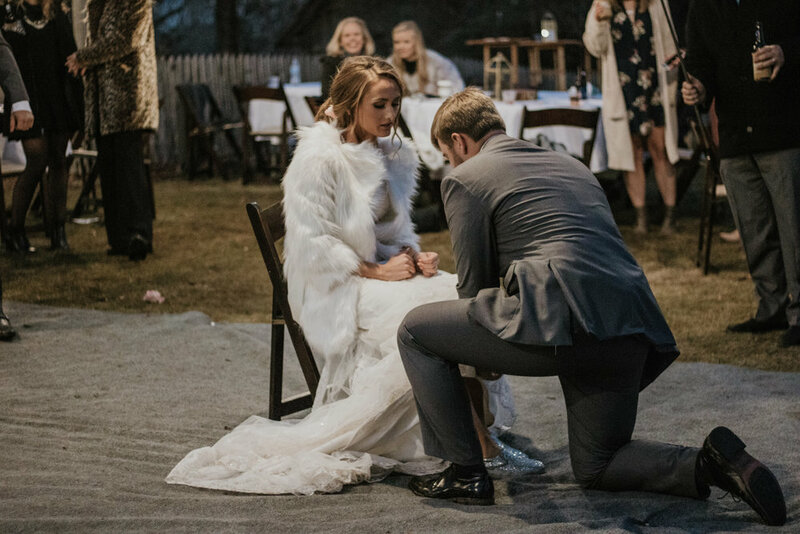 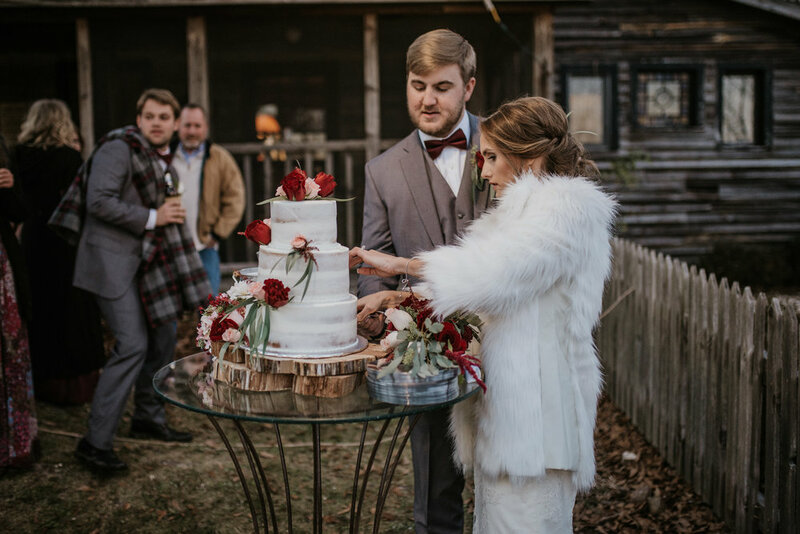 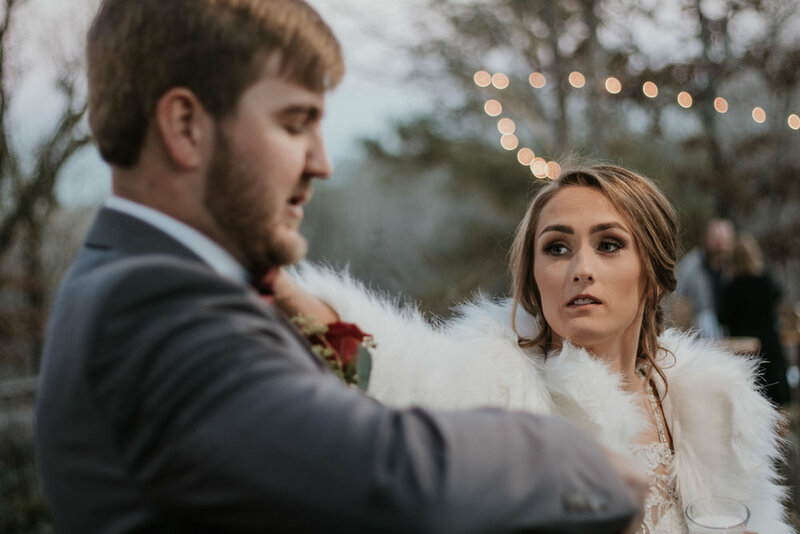 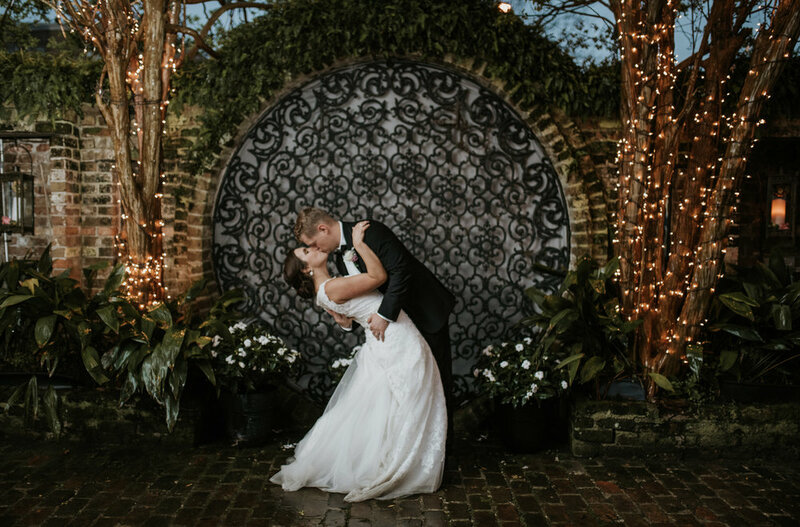 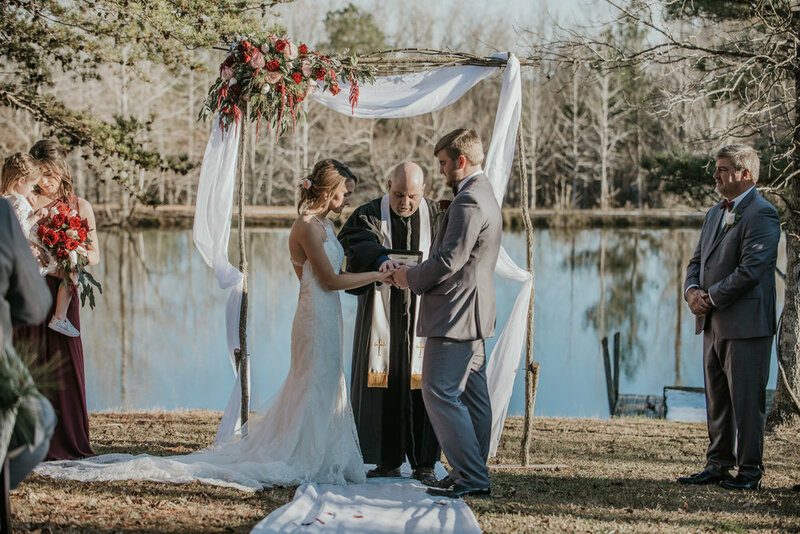 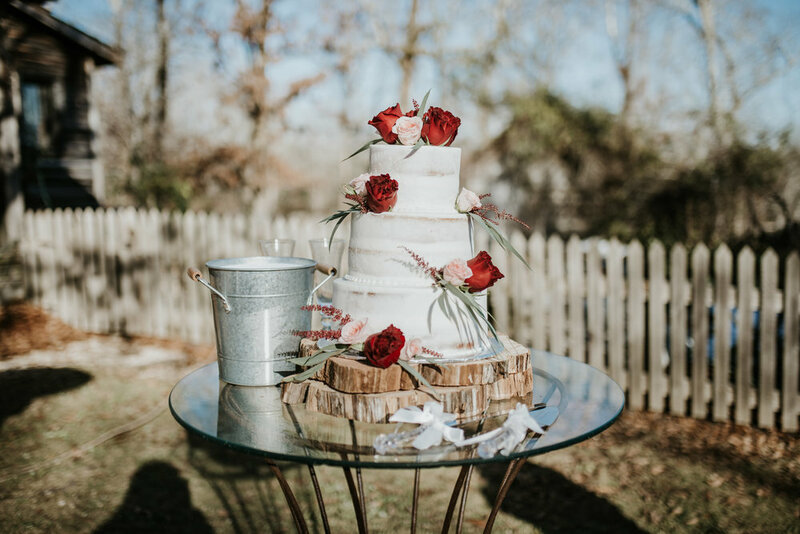 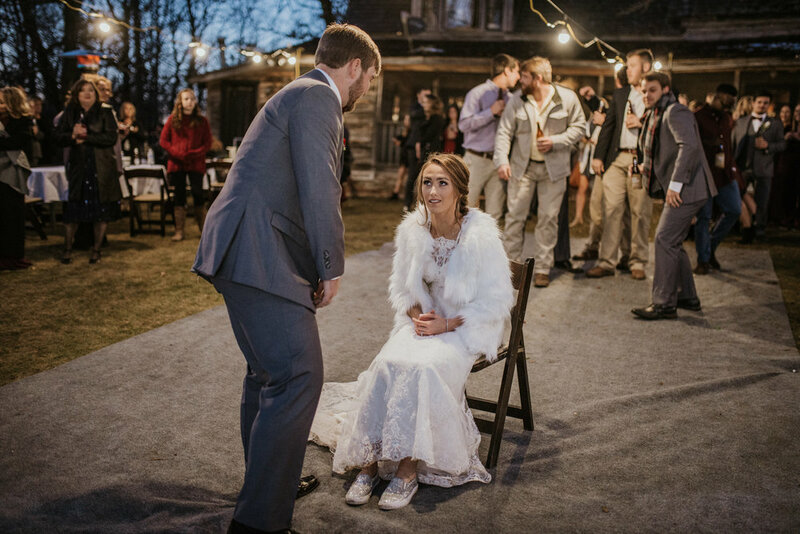 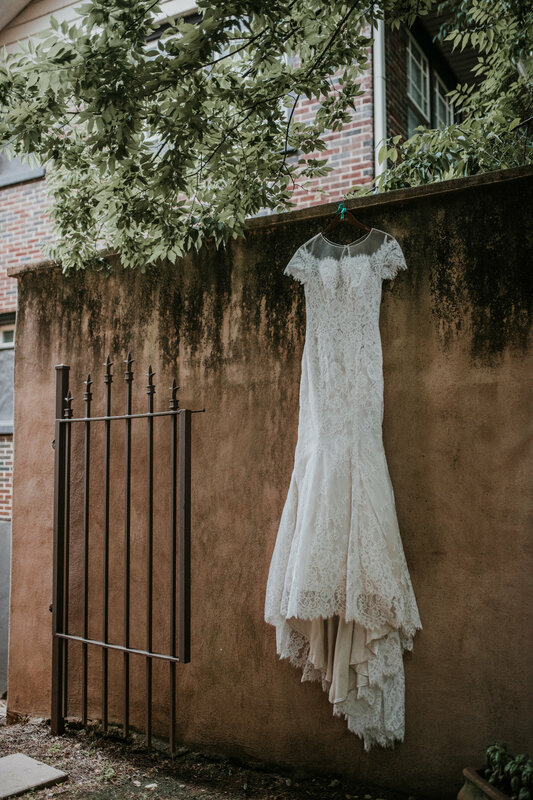 My dream of shooting a snowy wedding happened...in Alabama! 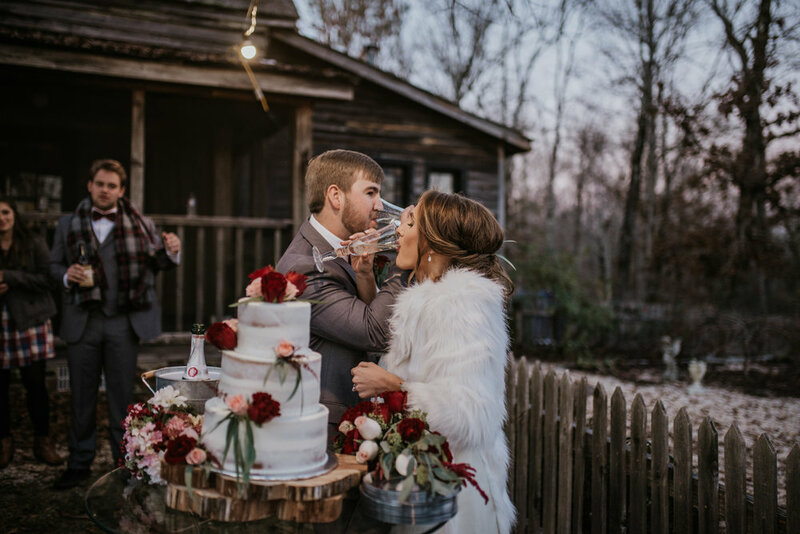 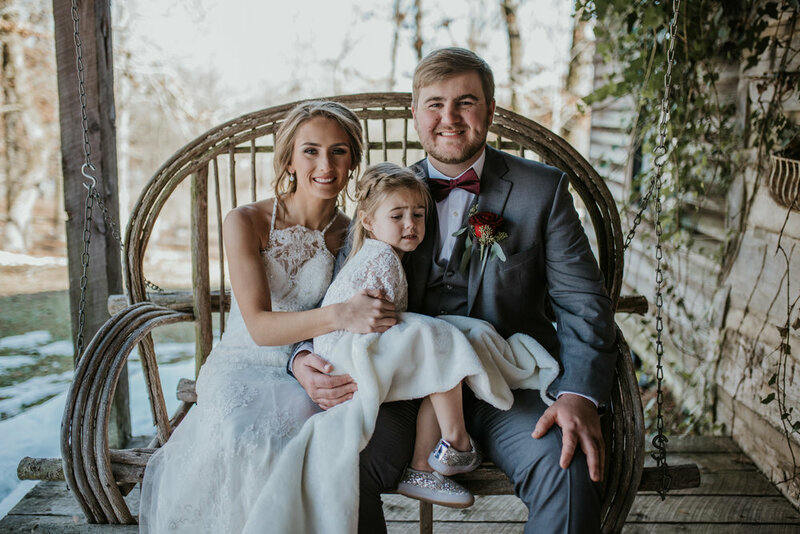 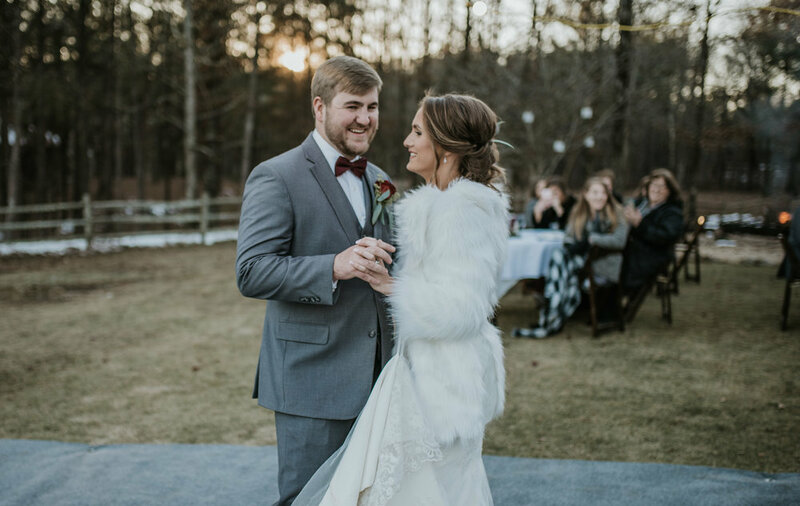 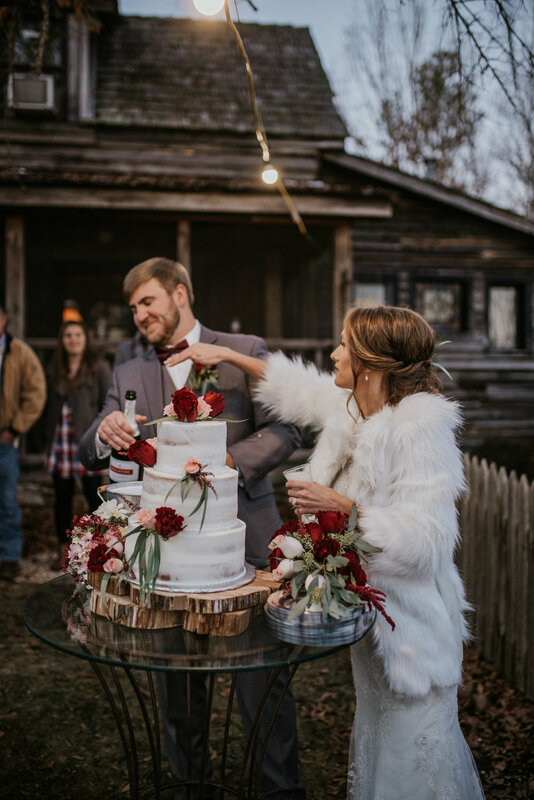 But besides the fact that the winter theme paired with the unexpected snow made it beautiful, Hannah + Hunter are are such a sweet and fun couple. 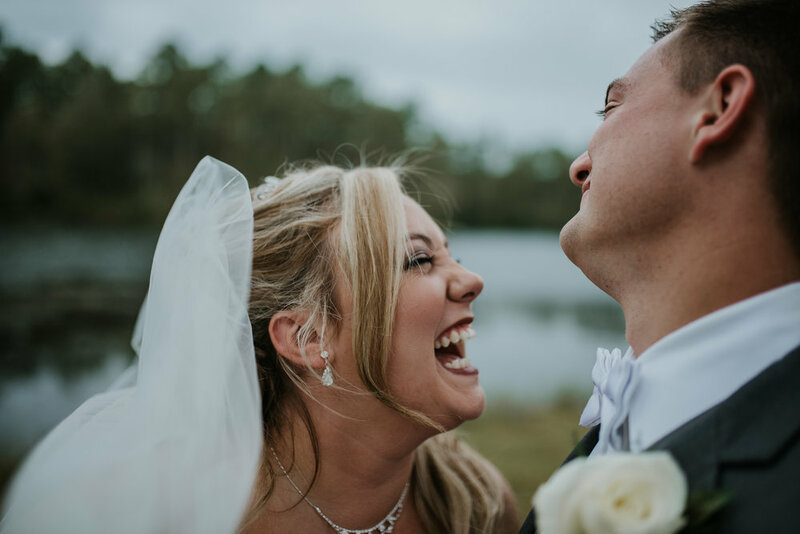 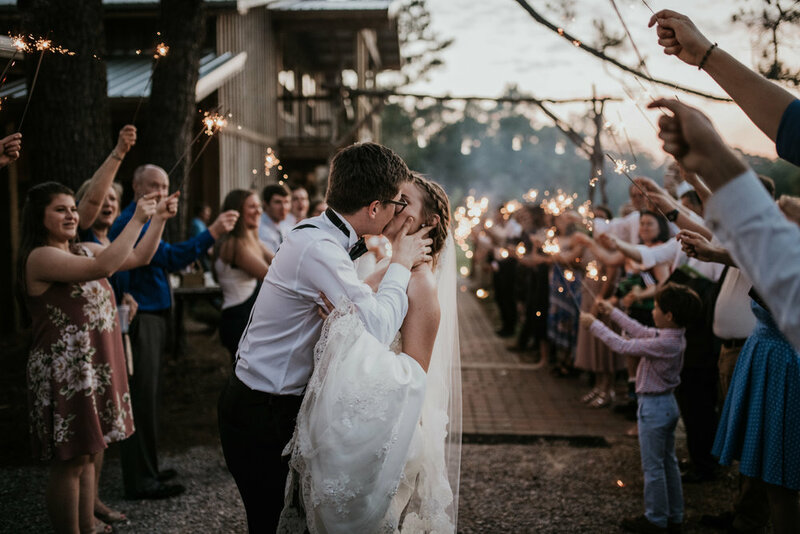 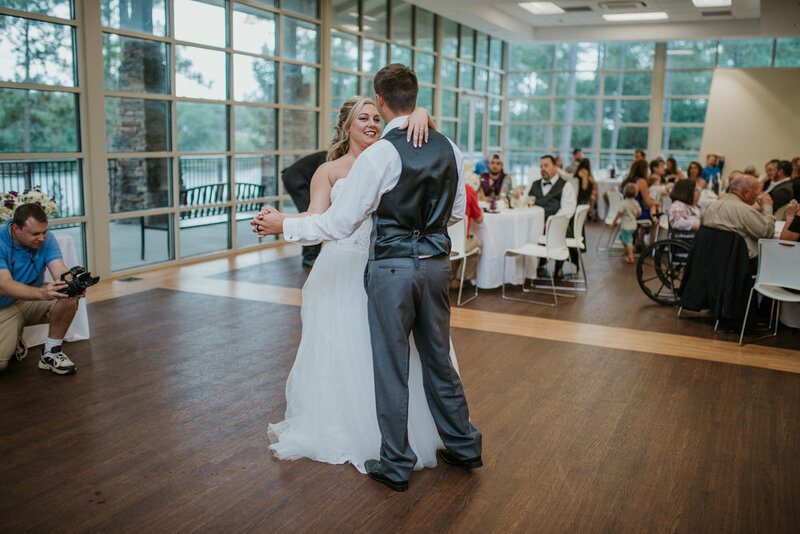 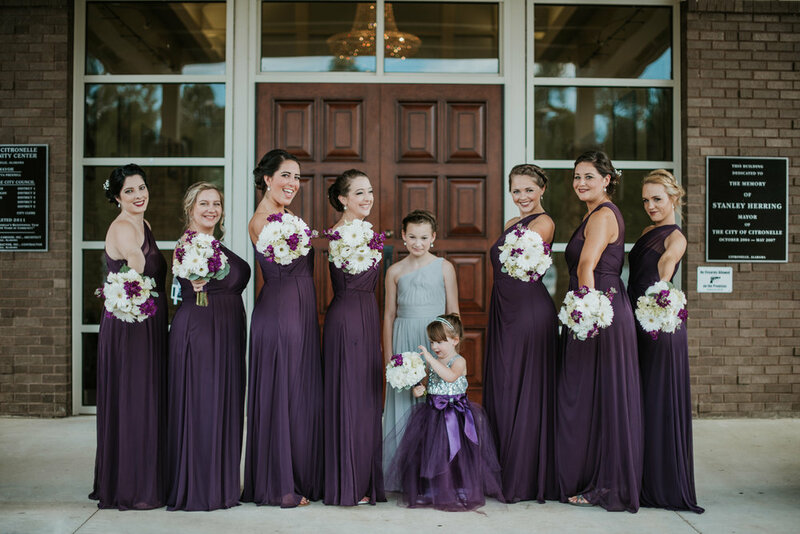 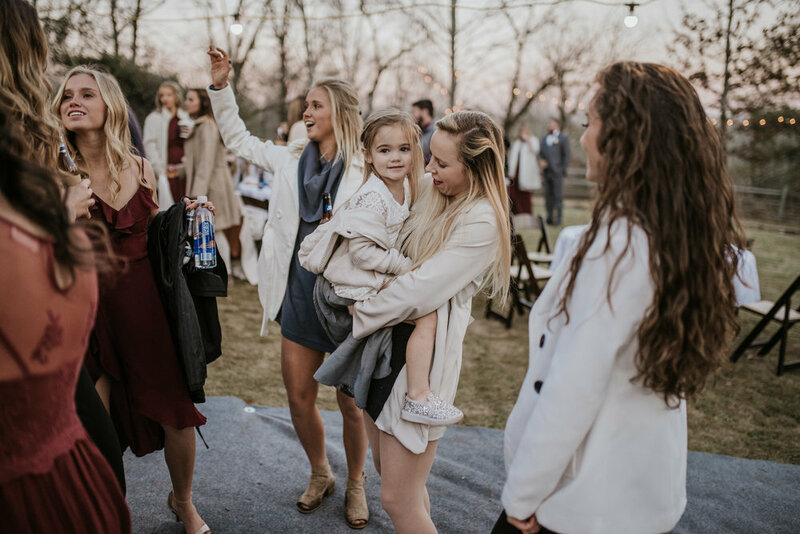 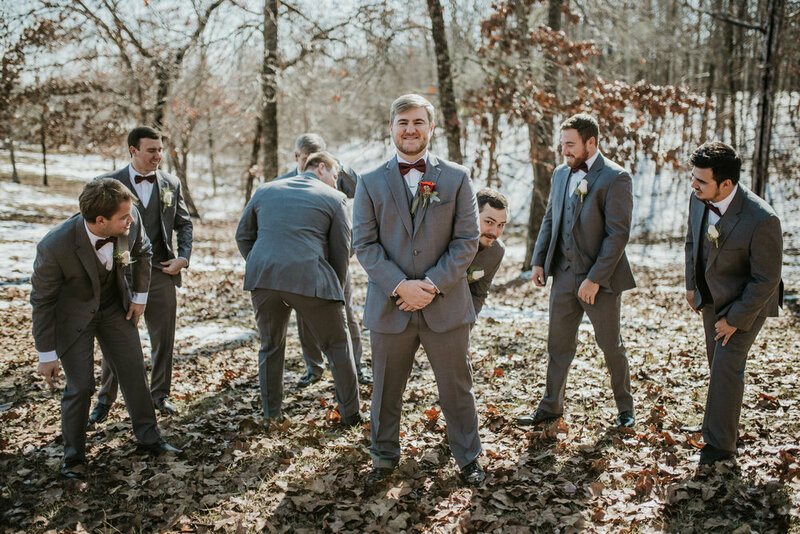 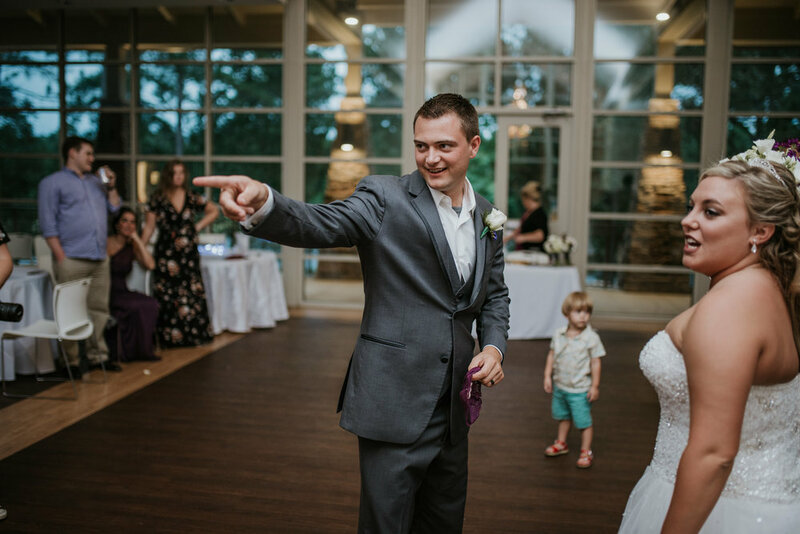 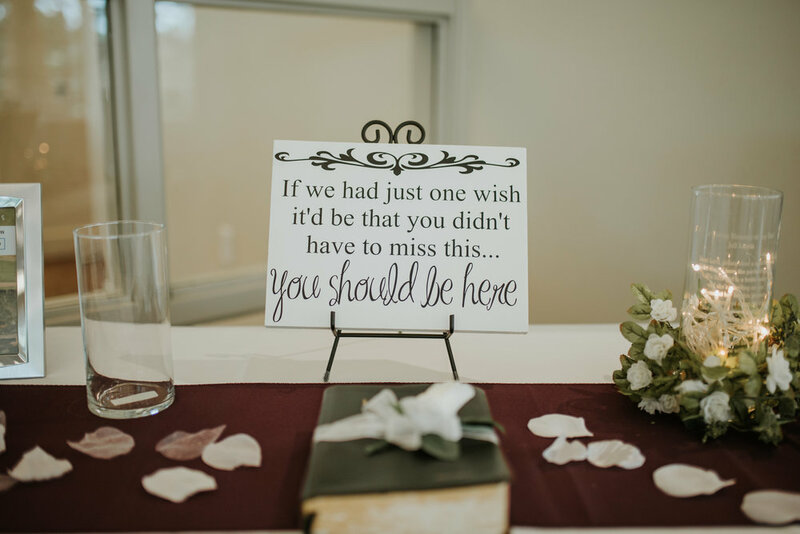 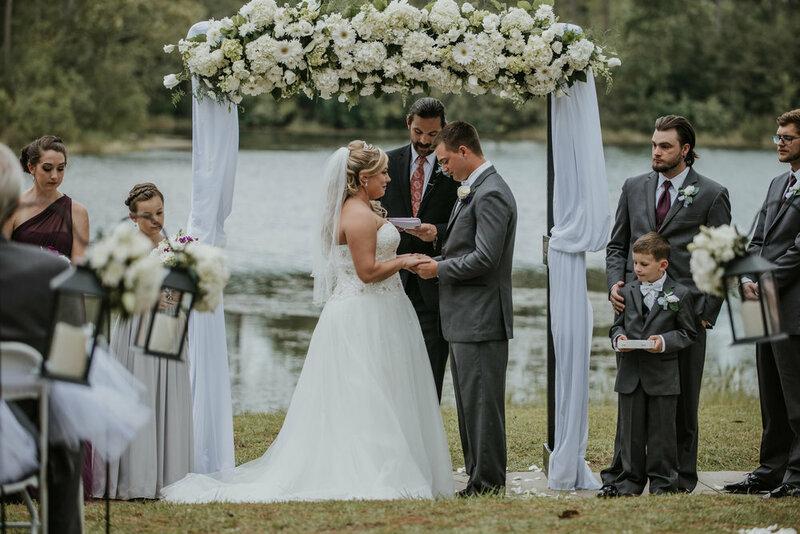 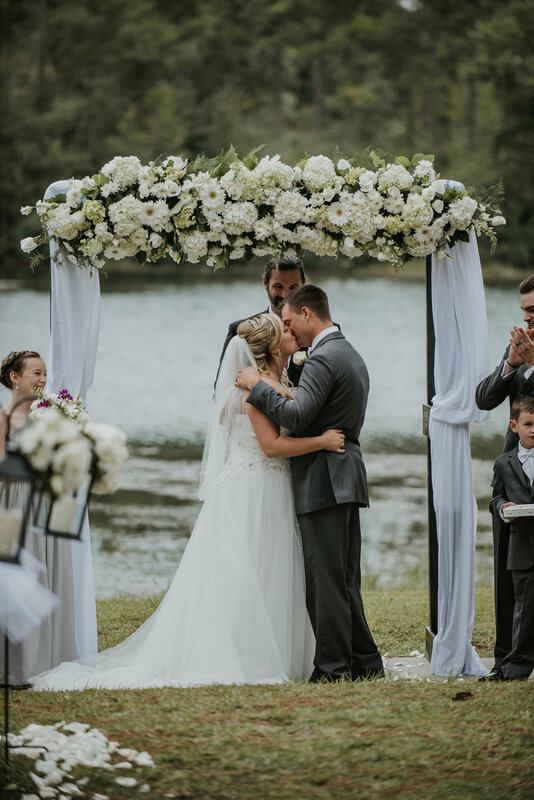 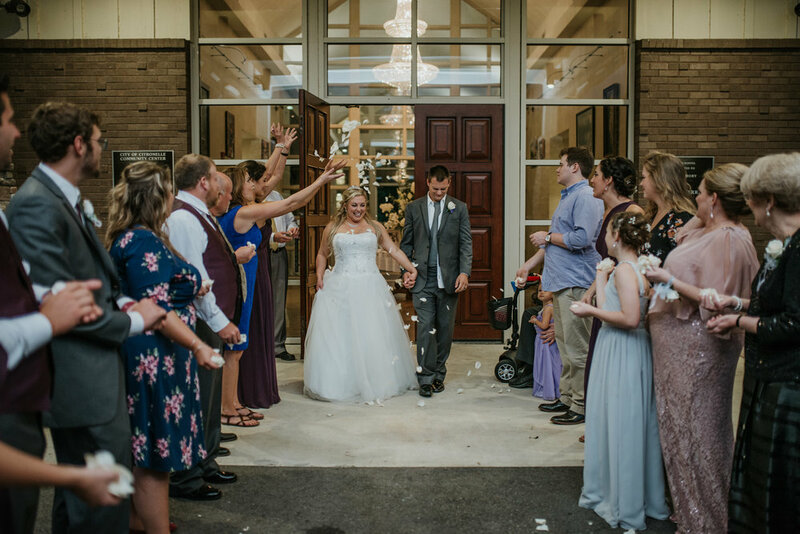 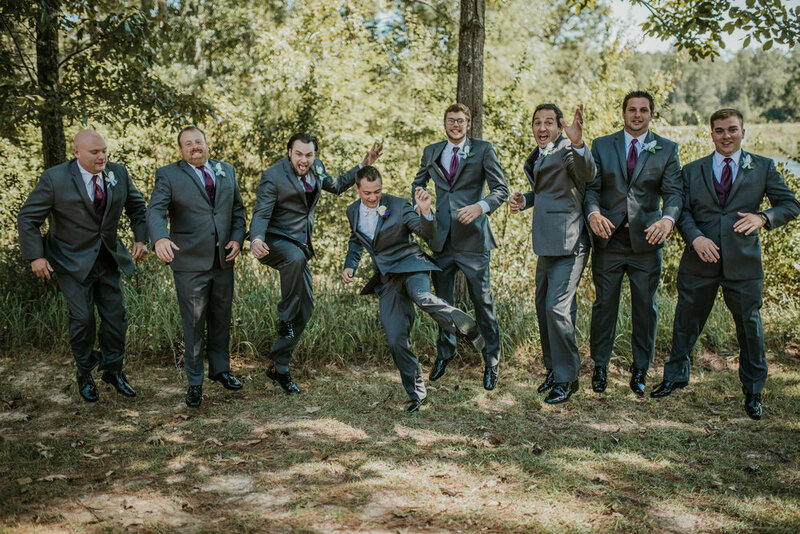 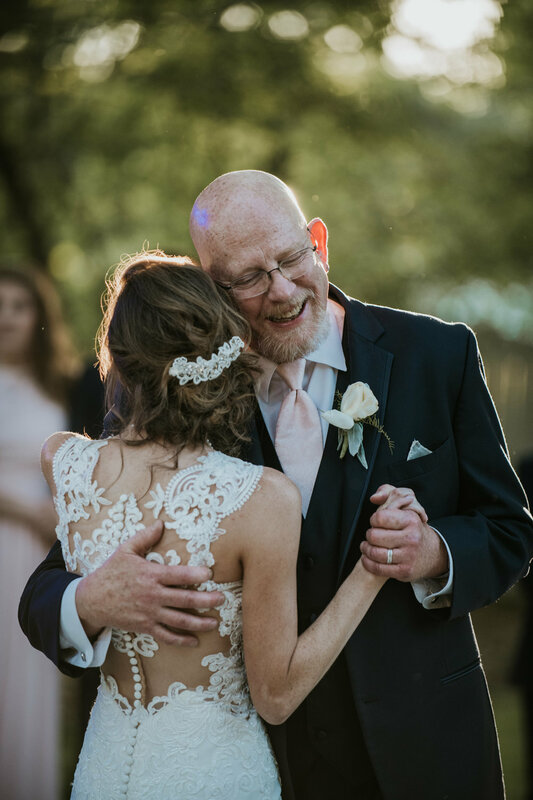 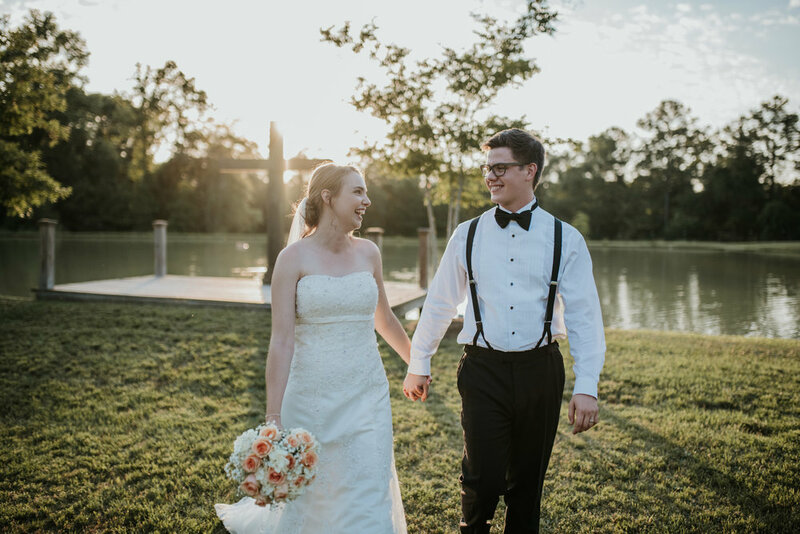 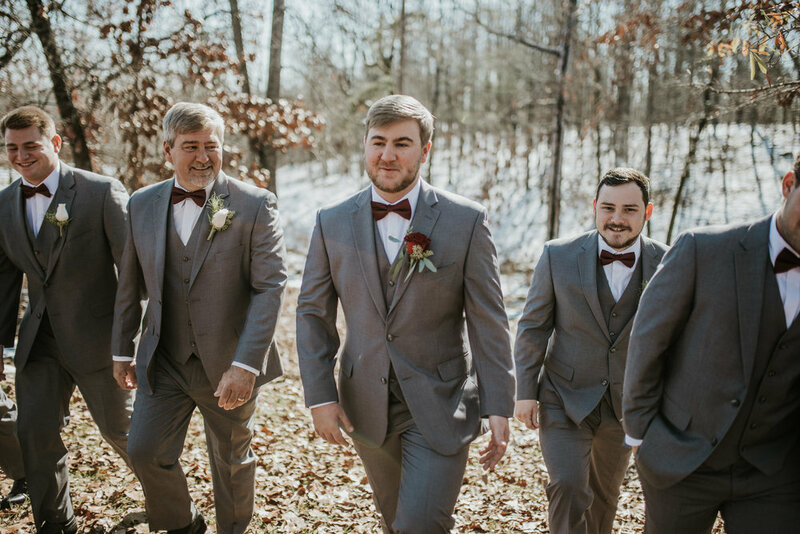 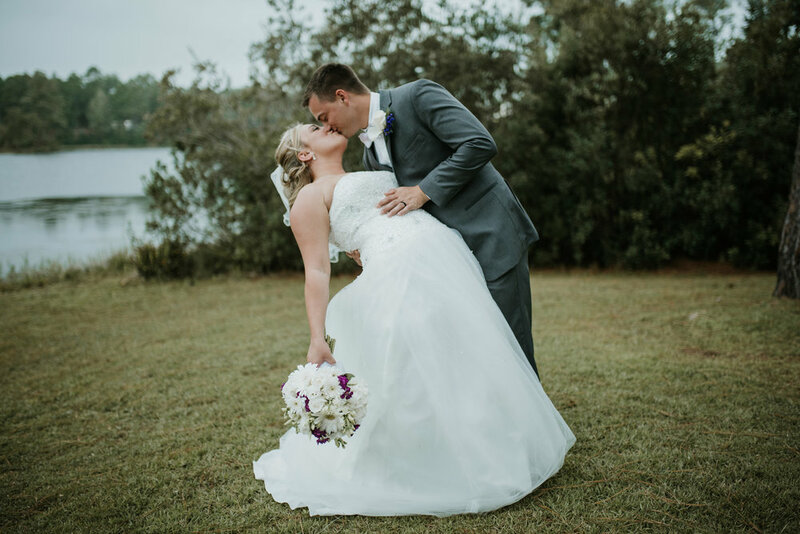 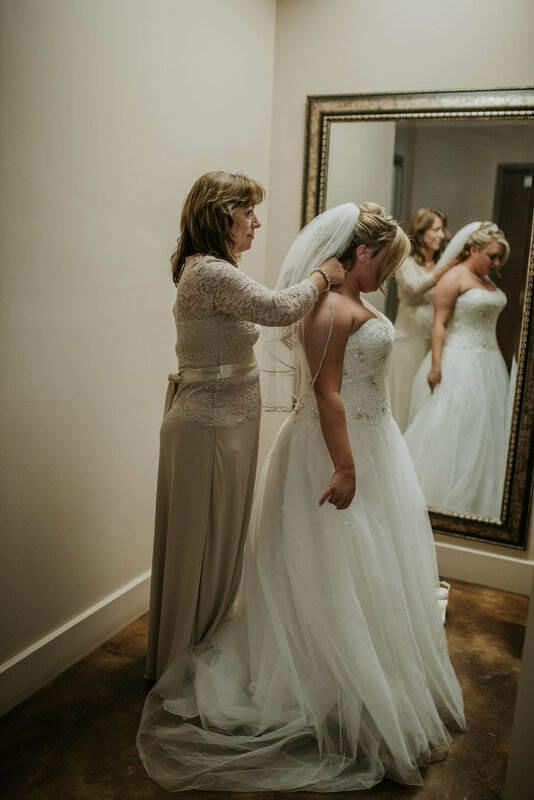 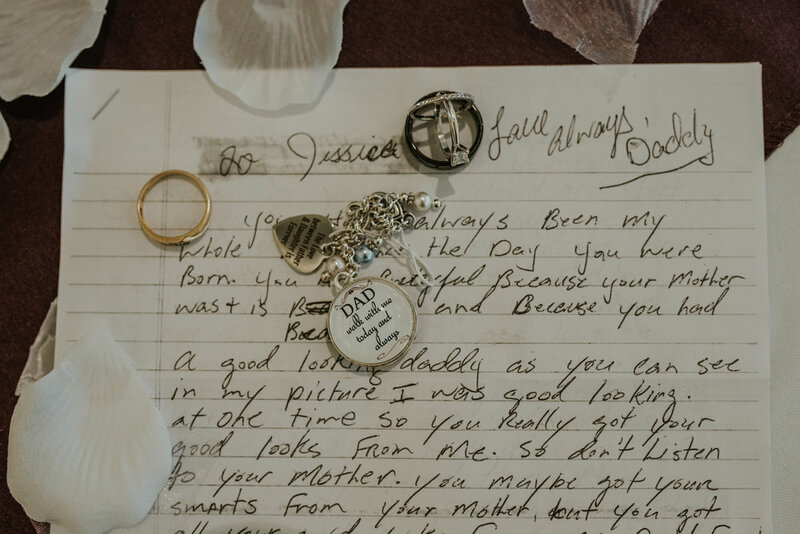 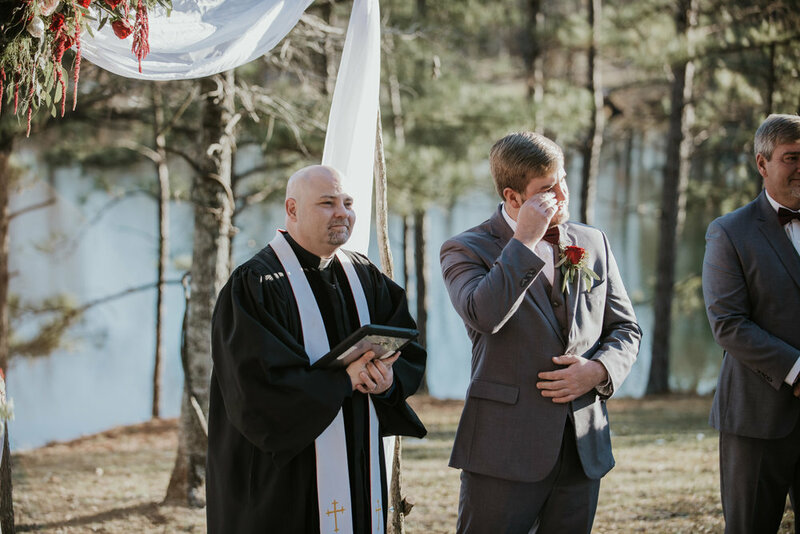 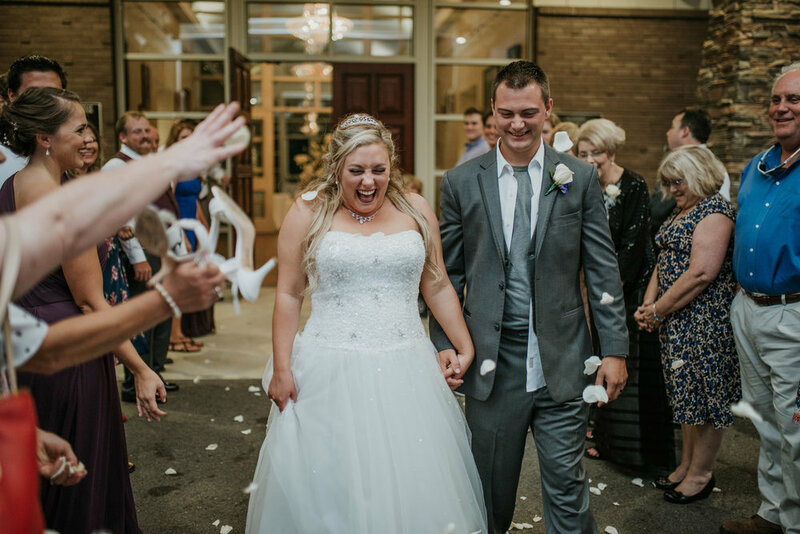 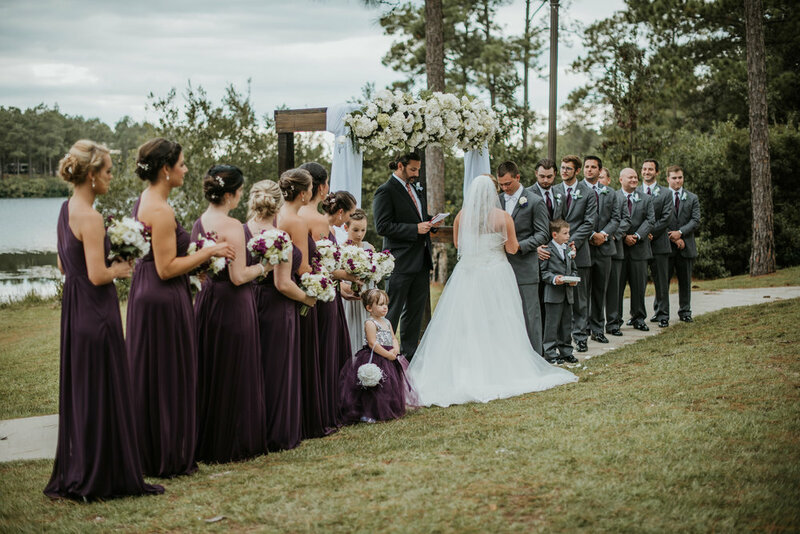 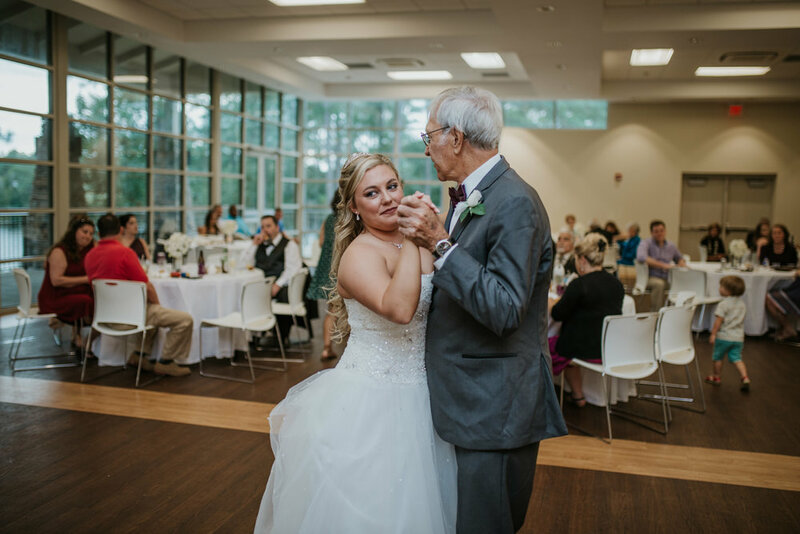 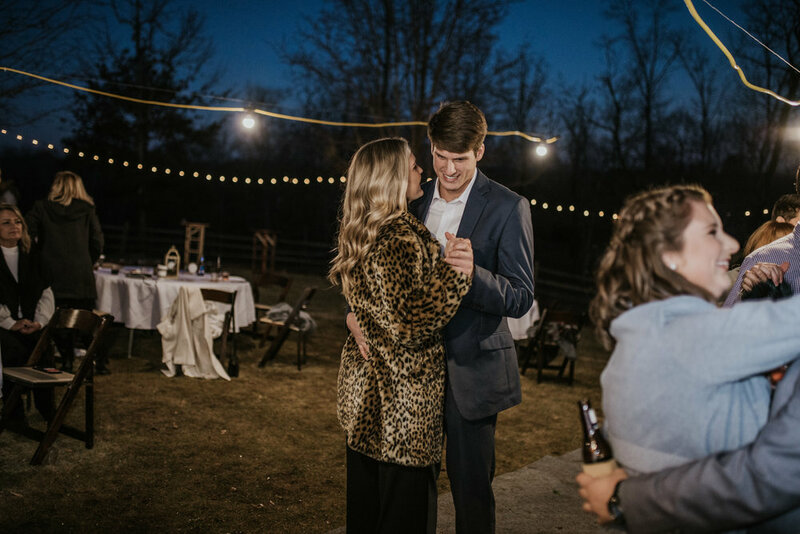 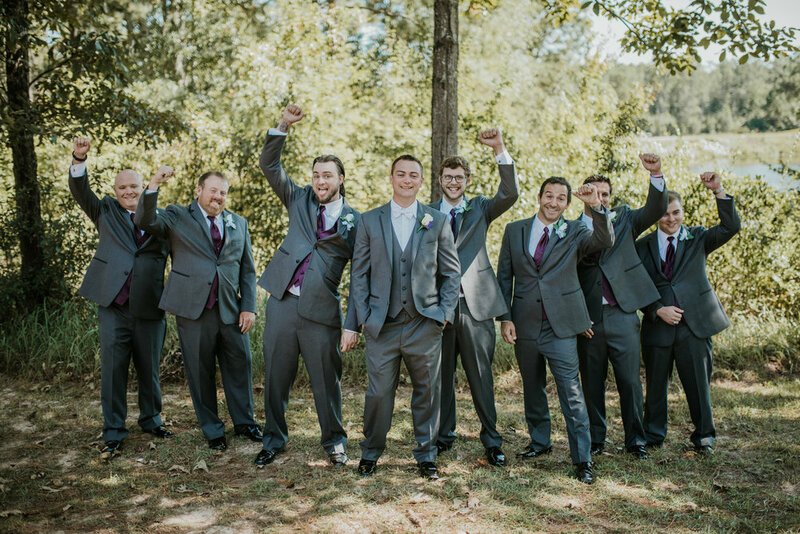 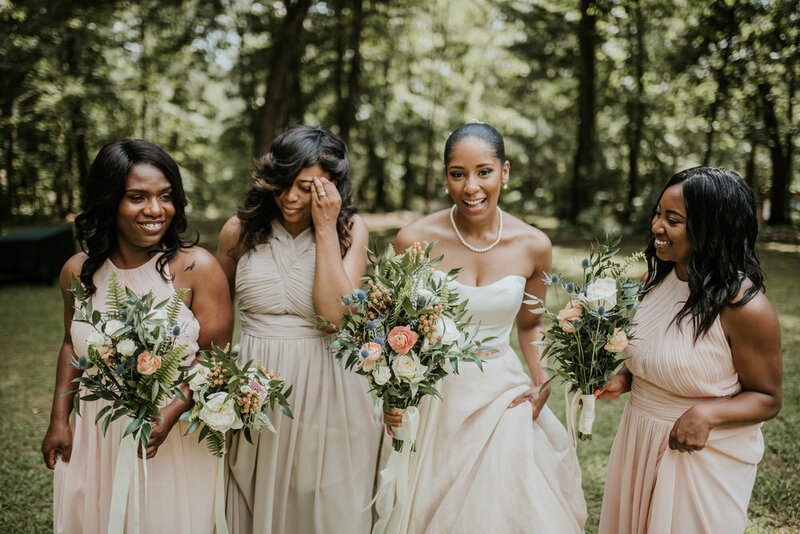 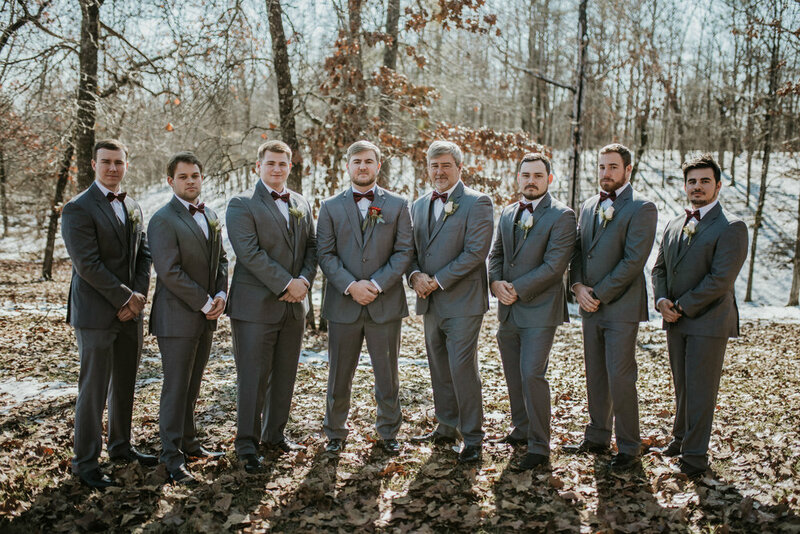 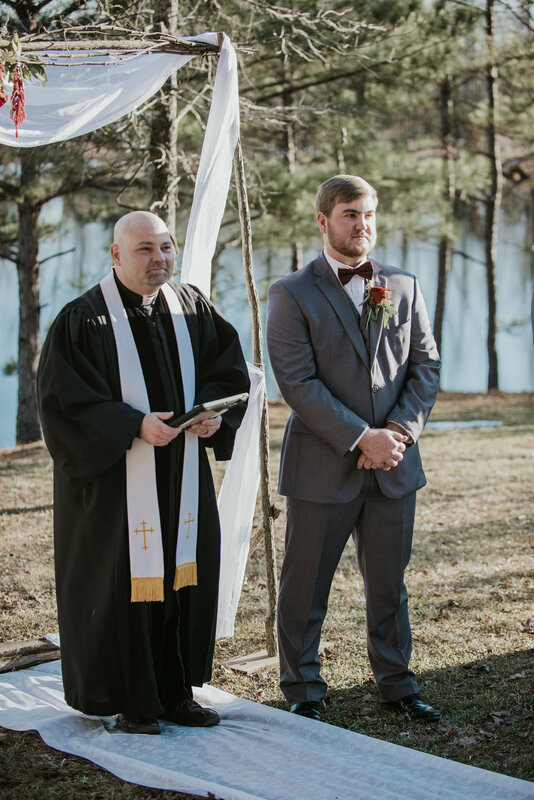 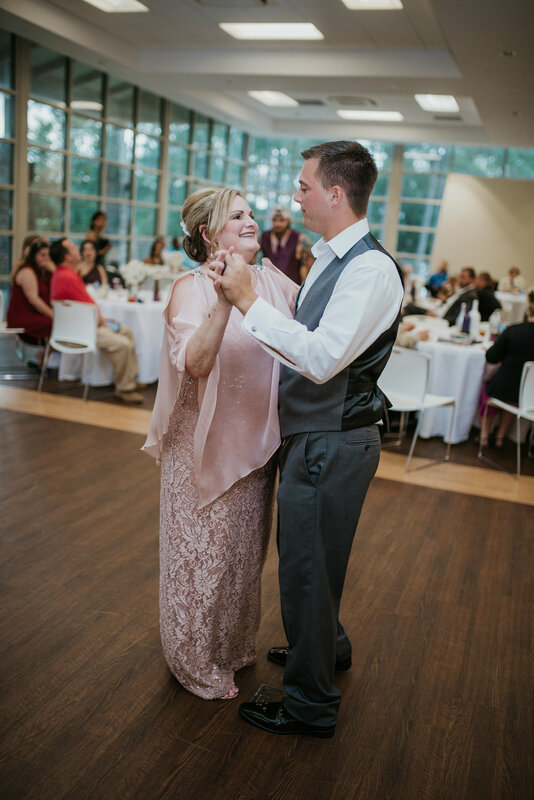 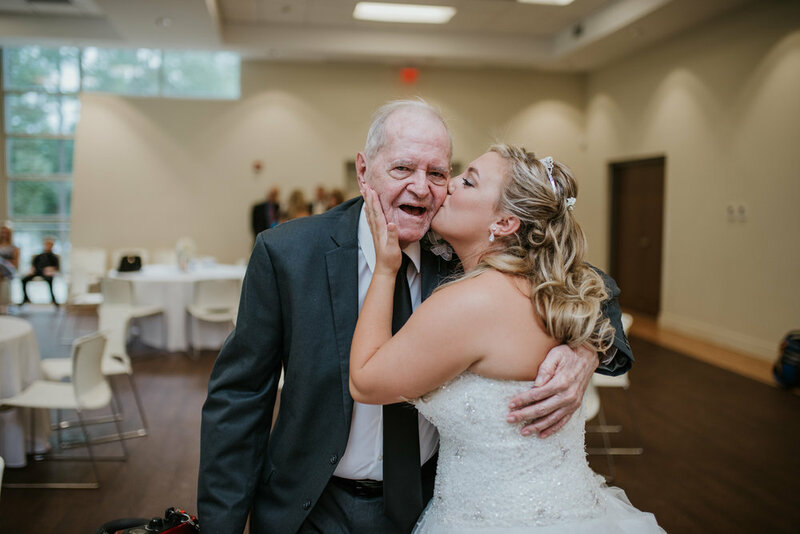 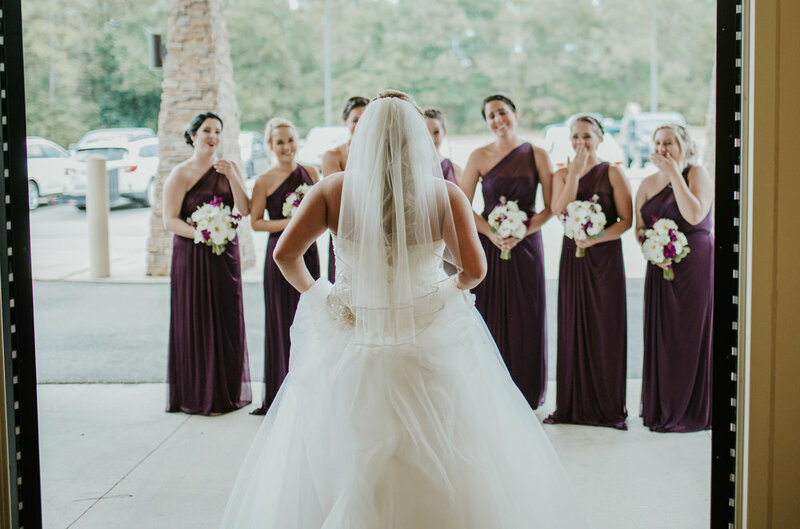 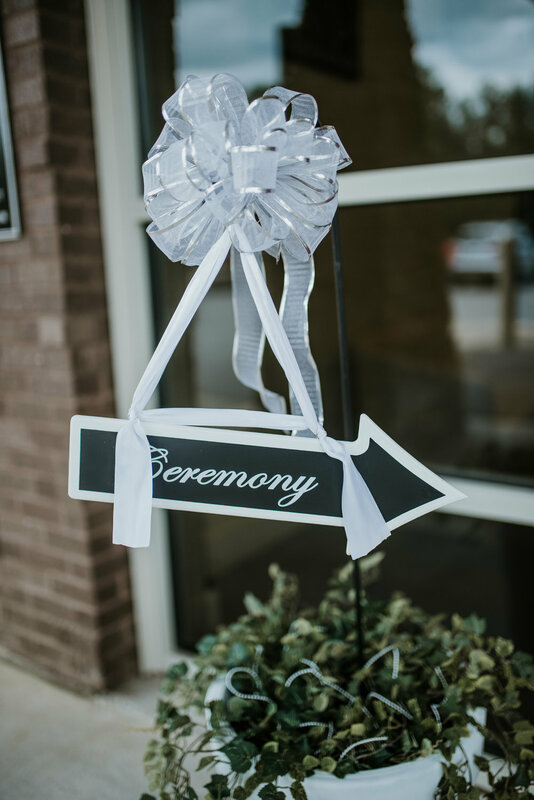 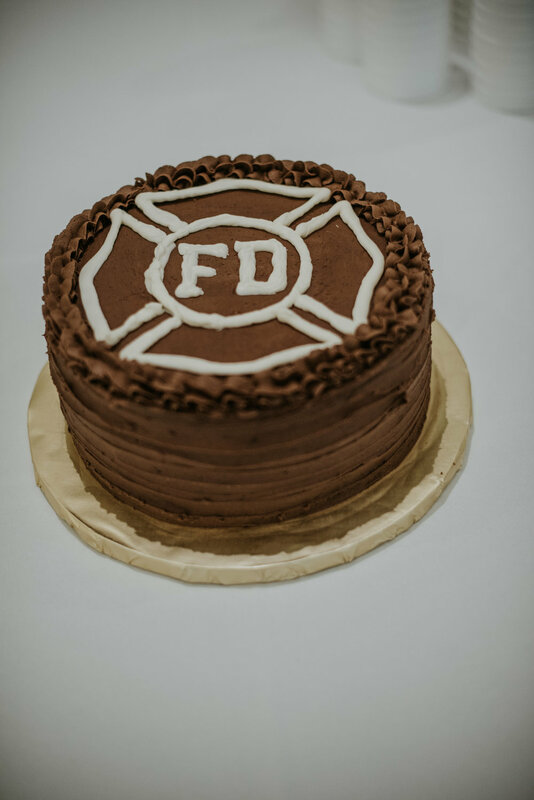 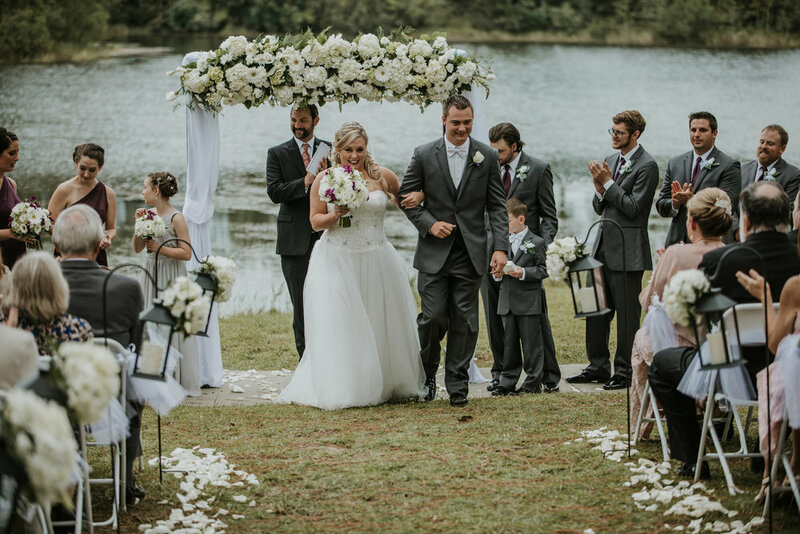 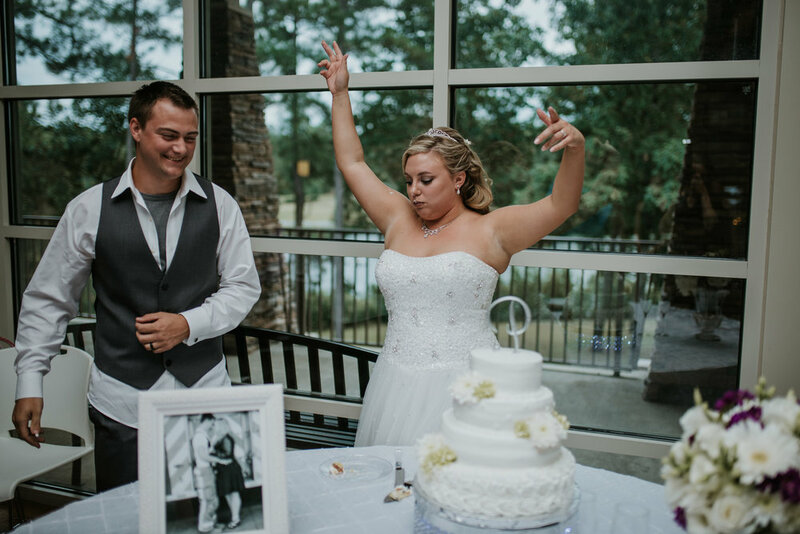 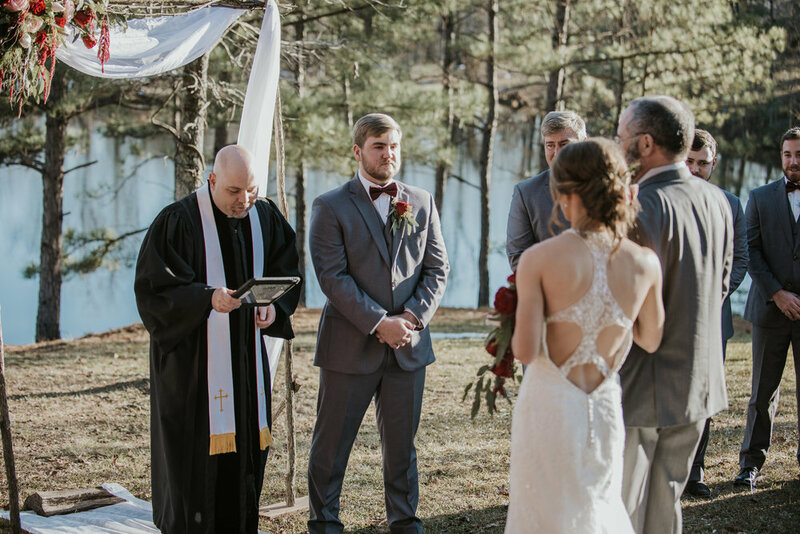 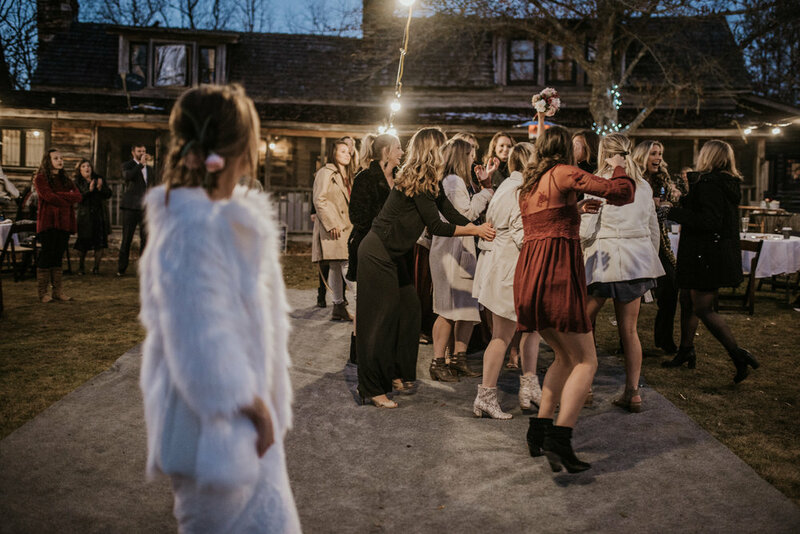 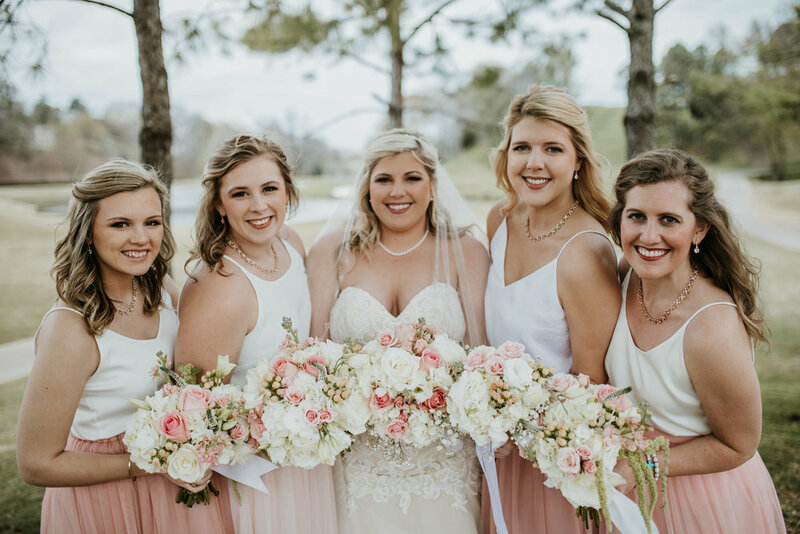 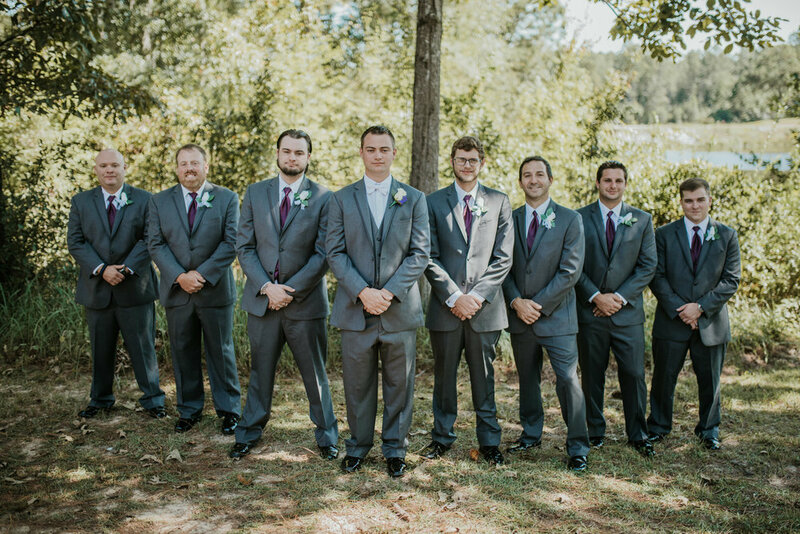 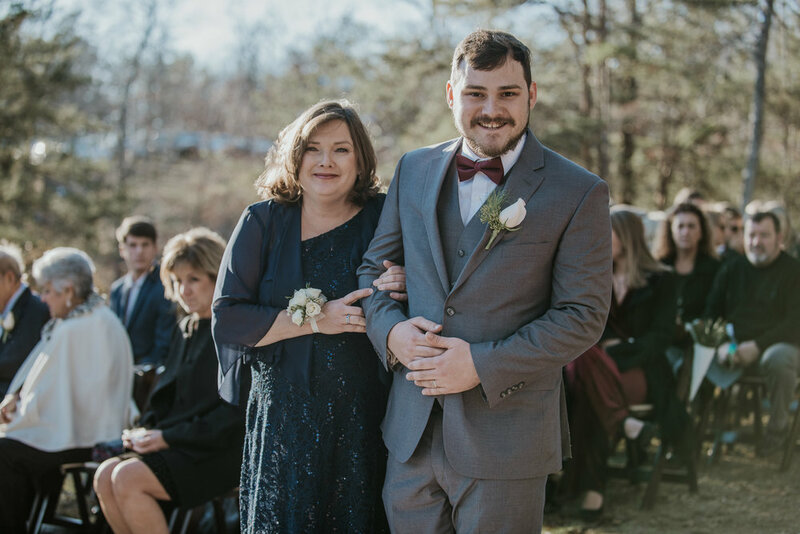 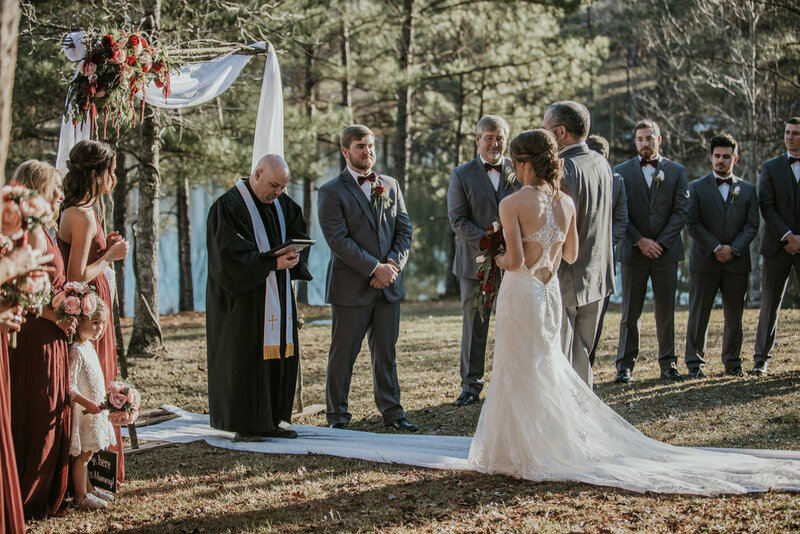 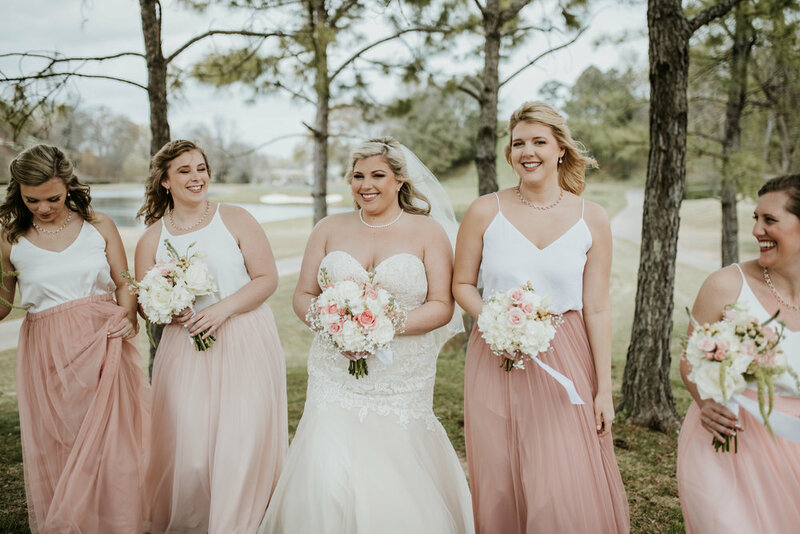 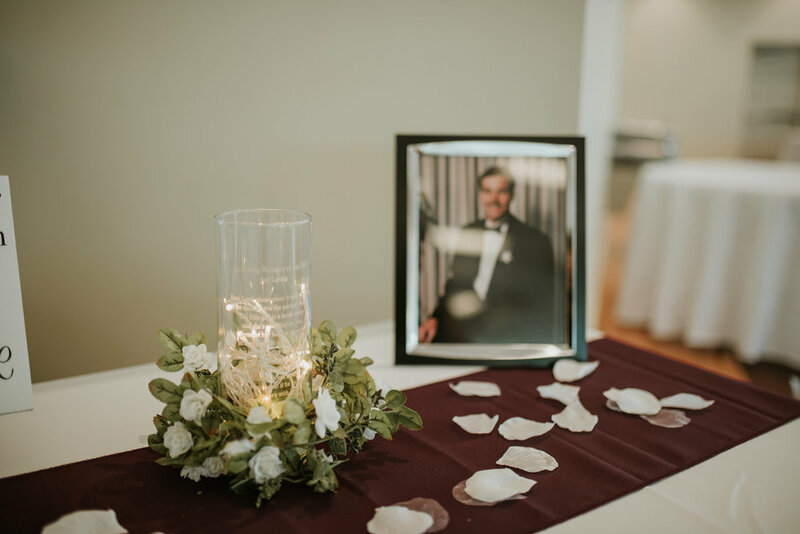 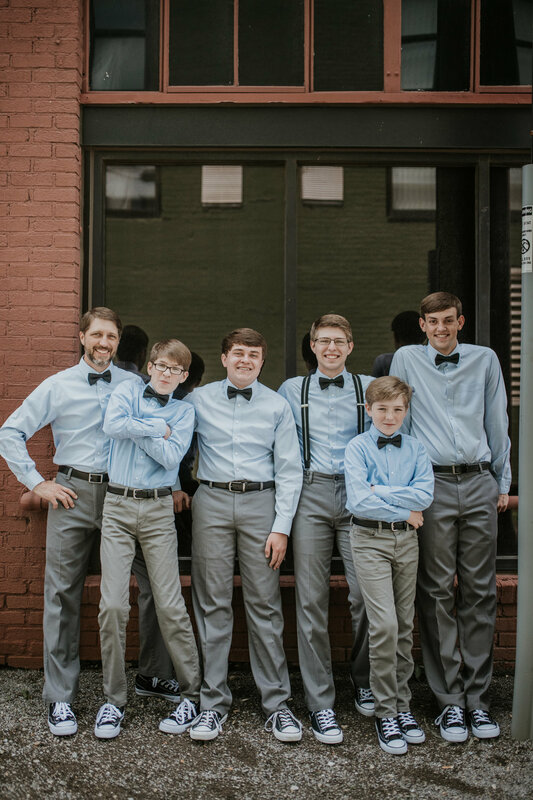 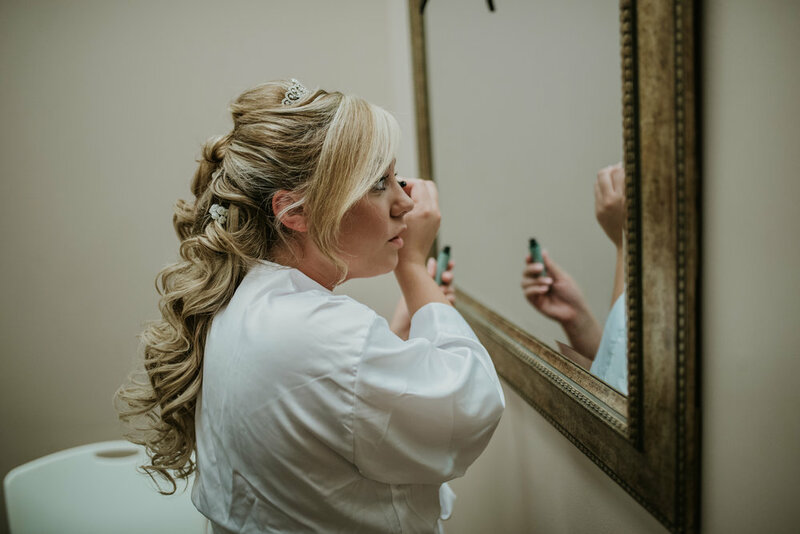 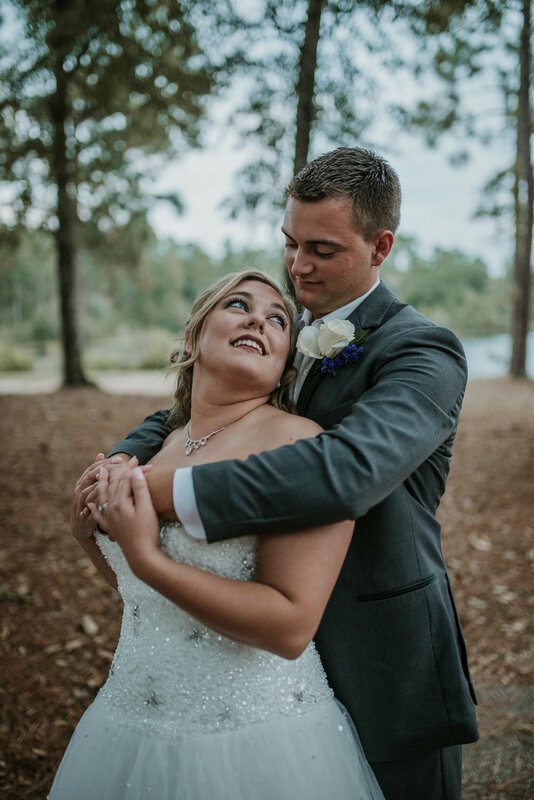 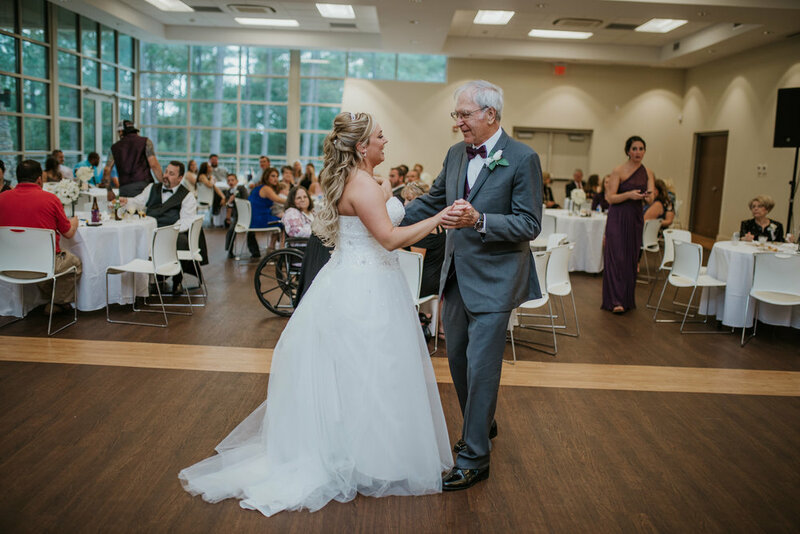 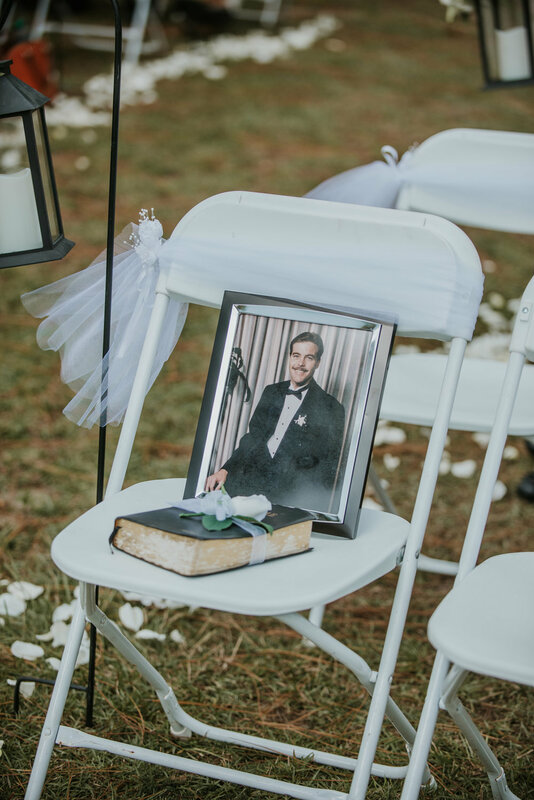 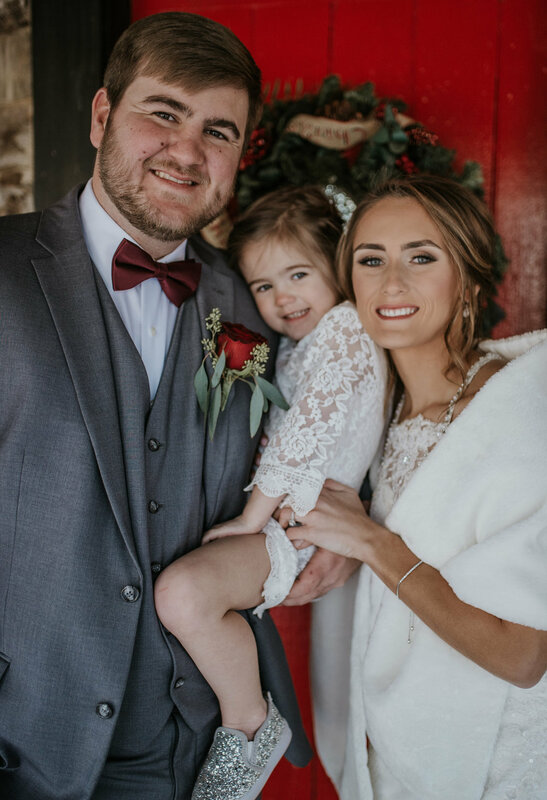 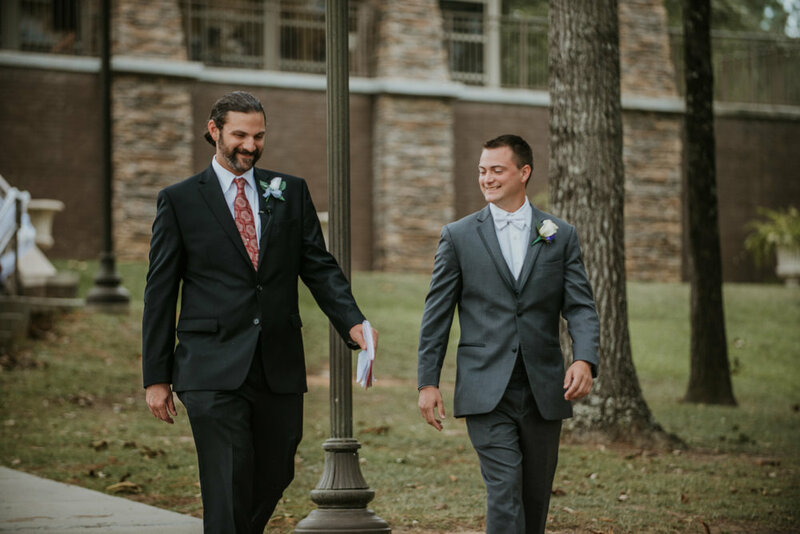 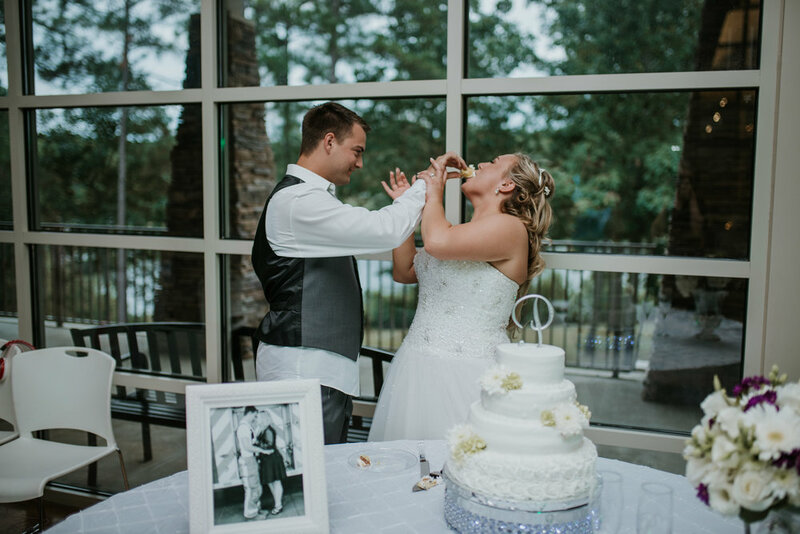 They ended up having to move their wedding to Sunday versus the Saturday they had originally planned due to icy road conditions, but nonetheless, all of their family and friends still came out to enjoy their special day with them. 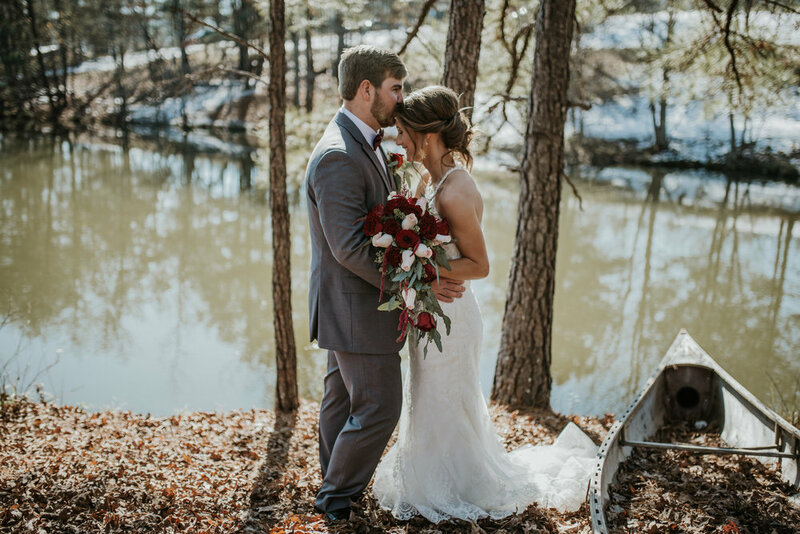 We all endured the cold weather to get those gorgeous winter images, running to take breaks to warm up in the house in between. 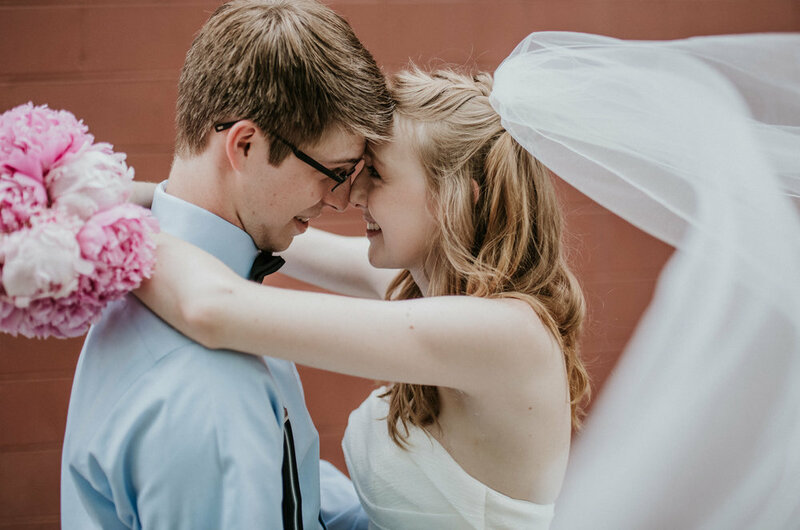 I personally don't think a better couple could have been faced with this challenge - them and their families being so kind and having that go-with-the-flow mindset. 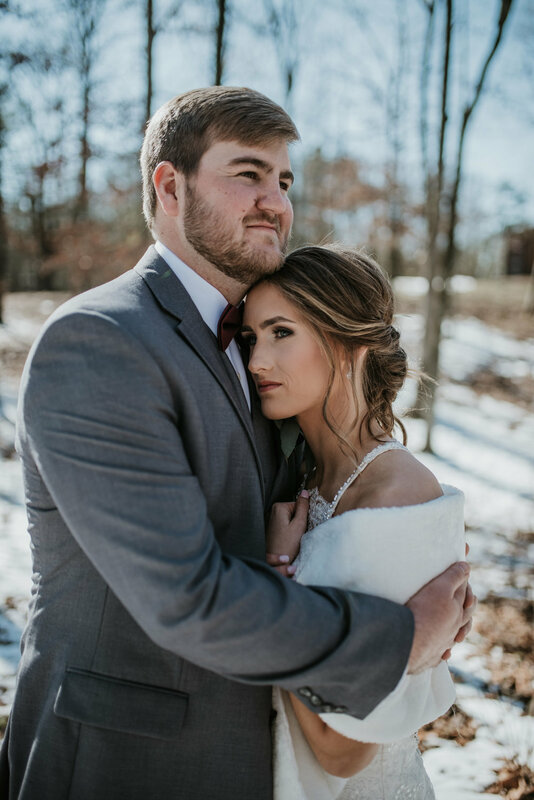 The ice and snow didn't stop them from having the most magical and sentimental day. 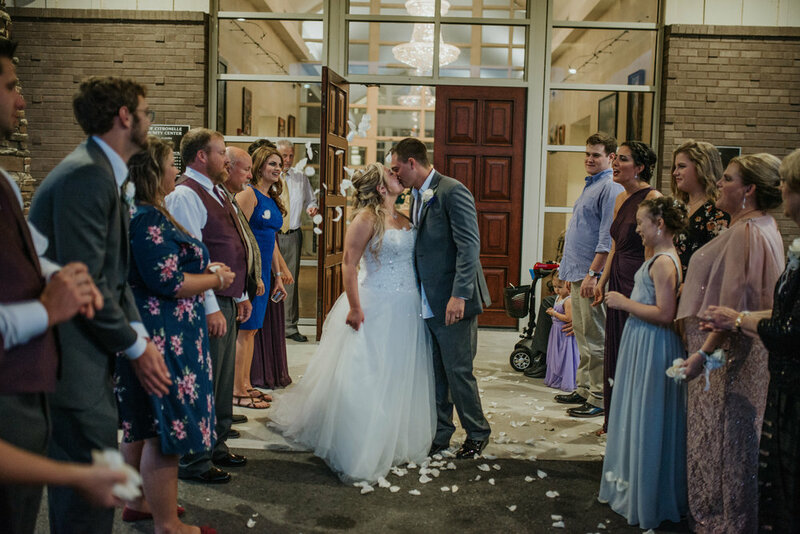 And how loved they are definitely showed with the words that their family and friends spoke about them and the way everyone watching their ceremony had expressions of pure joy as the two became one.